Searching for the best of something can be a tough undertaking. Searching for the best financial advisors and wealth management firms in Indianapolis, Indiana is no exception. If you find yourself here, you most likely need clarity in your finances and you know that the services of a financial advisor will help you to assess your situation and plan for a bright future. As you search for the right Indianapolis financial advisor for you, you probably want to know that your future is safe and secure in their hands. We couldn’t agree with you more. Building trust through a relationship with your financial advisor in Indianapolis is paramount—after all, your financial future is on the line. With such high stakes, it’s essential to do the appropriate research to weed out those Indianapolis financial advisors who are more profit-driven than client-driven. 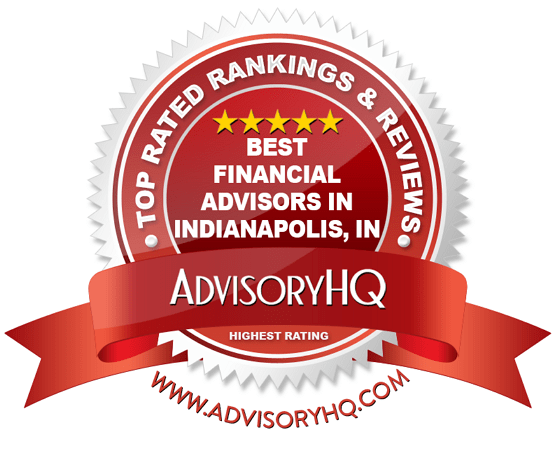 We have done our best to make your journey as straightforward as possible, narrowing down a long list of firms to select the top-performing financial advisors in Indianapolis for your consideration. 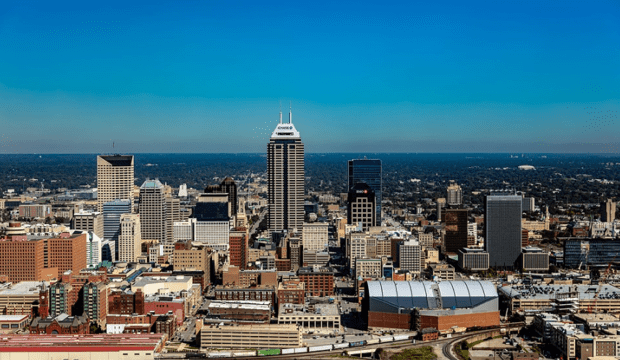 Is there a difference between Indianapolis financial advisors and wealth managers? What criteria should I consider when choosing the right financial advisor in Indianapolis for me? What services are typical, and which are extra? 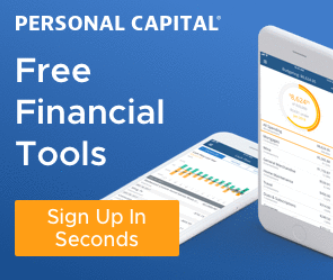 These are great starting points for identifying the top financial advisors in Indianapolis—and if there is one thing that you should do when searching for the perfect financial planner, it’s to start asking questions. The more you know about the details involved in wealth management, the better-equipped you will be to make educated decisions. You’ve worked hard to earn the money you have, so you should benefit from a top Indianapolis wealth management firm that will help you secure a happy and comfortable financial future. Below, please find the detailed review of each firm on our list of best wealth management firms in Indianapolis. We have highlighted some of the factors that allowed these Indianapolis financial advisors to score so high in our selection ranking. Avalon Wealth Advisory is a fee-only financial advisor in Indianapolis. They offer comprehensive financial planning and investment management services to a wide variety of affluent clients, including individuals, families, business owners, corporate executives, physicians, and more. For many clients, finding the best Indianapolis financial advisor means finding a firm that will work alongside them over time, continuing to offer valuable services as their financial goals and needs fluctuate. Each service from this top Indiana financial planner uses a client-centric foundation to learn about their client’s unique needs, goals, and financial experiences before creating a customized financial plan. As a fee-only financial advisor, the only compensation that Avalon receives comes directly from clients. Not only does this eliminate the inherent conflicts of interest that often come from commission-based models, but it also creates a strong foundation of trust and transparency, two crucial elements in any successful financial planning relationship. Together, this team of Indianapolis financial planners has over a century of experience in leading their clients to their financial goals. Additionally, every Indianapolis financial planner at Avalon Wealth Advisory is a Certified Financial Planner (CFP), further exemplifying their dedication to doing their best for their clients. With a client-centric model, a strong foundation of services, and an experienced team, Avalon Wealth Advisory is one of the best financial advisors in Indianapolis to consider partnering with this year. Established in 1989 by Elaine Bedel, Bedel Financial Consulting, Inc. is one of the leading woman-owned Registered Investment Advisors in the country. As a fee-only financial planner in Indianapolis, Bedel Financial offers financial planning and investment management services to both individuals and institutional clients. To provide clients with a truly comprehensive experience, Bedel Financial takes a balanced approach to financial health, combining financial planning and investment management. Each client receives their own personal team of one financial planning expert and one investment management professional to ensure that the financial planning experience is both holistic and thorough. Additionally, the staff at Bedel Financial consists of both CFP® and CFA professionals, demonstrating their expertise in both financial planning and investment management. Comprehensive Wealth Management: Combines financial planning and investment management services into one comprehensive plan to manage and grow your assets. Retirement Focus Planning: RetireSecureStrategy offers a toolbox of services to analyze your ability to retire and implement processes to ensure success. 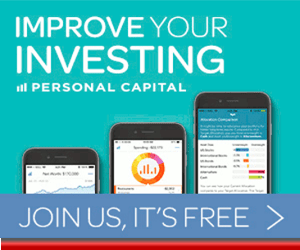 Young Wealth Accumulators: Called Generation NeXt™, this service is designed to guide a younger generation (clients between the ages of 20-40) onto an affluent path, establishing a solid financial foundation. Part of what makes Bedel Financial Consulting stand out as a top financial advisor in Indianapolis is their clear commitment to providing personalized, client-centric service. This is seen through their fee-only structure, detail-oriented process, and customized services. 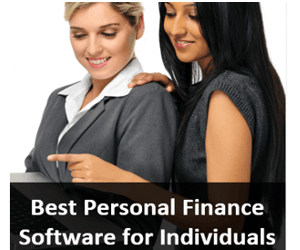 For clients that want Indianapolis financial planners that truly put their needs first and foremost, Bedel Financial Consulting is one of the best financial advisors in Indianapolis. 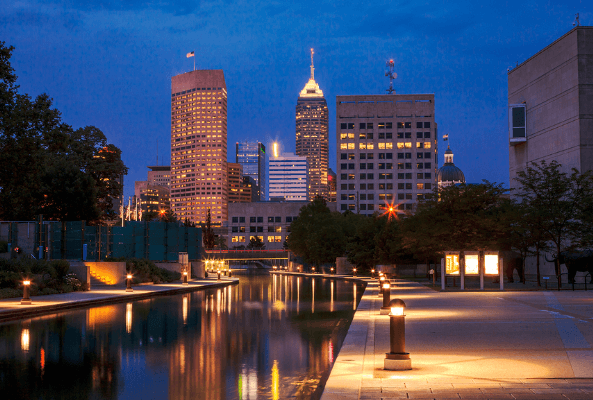 With locations spread across the country, Buckingham Strategic Wealth is a financial advisor in Indianapolis that provides financial advice for individuals, families, institutions, plan sponsors, and dental practice owners. Founded in 1994 as an inherently client-centric firm, Buckingham Strategic Wealth offers fee-only Indianapolis wealth management services. As one of the best financial advisors in Indianapolis, Buckingham Strategic Wealth offers clients a wide range of investment management and financial planning capabilities. This financial advisor in Indianapolis understands the different layers of responsibility that come with managing a nonprofit. As such, Buckingham advisors can provide organizations with a solid investing strategy geared towards long-term stability that board members can comfortably stand behind. 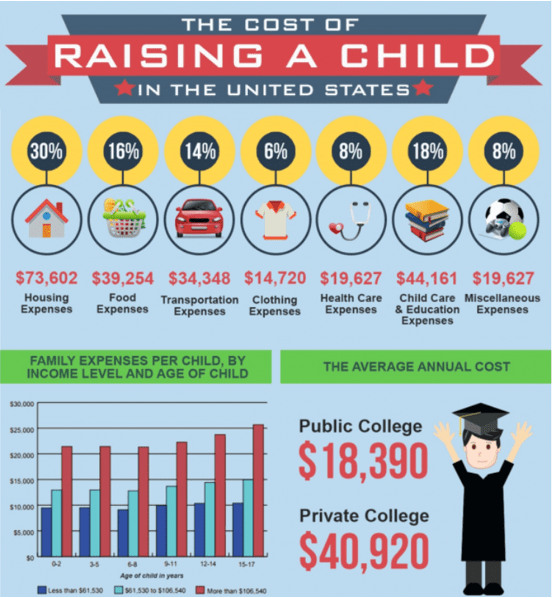 Additionally, the Indianapolis financial advisors at Buckingham can also present this information to your trustees in a way that is accessible and helps them get on the same page. By serving as fiduciary financial advisors, Buckingham makes the role of nonprofit board members and trustees less stressful and, ultimately, more rewarding. As a fee-only Indianapolis financial advisor with a fiduciary commitment, Buckingham Strategic Wealth provides clients with the golden standard in financial planning and wealth management—unbiased, uncompromised, and always client-centric advisement. Buckingham also provides clear advantages through their wide range of financial planning services, including a boutique focus on nonprofit organizations and dental office owners. With a variety of financial capabilities, an experienced team, a fee-only structure, and a fiduciary commitment, Buckingham Strategic Wealth is one of the best financial advisors in Indianapolis to consider partnering with this year. Castle Wealth Advisors, LLC is a fee-only Indianapolis financial planner that combines the expertise and experience of three companies: Castle Financial Group™, Castle Investment Advisors™, and Castle Valuation Group™. Castle Financial Group™: As the oldest company in the family, they consider themselves the “architect,” designing financial blueprints to serve and protect clients and their assets. They deal with taxes, gifting, estates, business succession, and retirement. Castle Investment Group™: This branch is an SEC-registered investment advisory firm, and take care of personal assets, charitable trusts, pensions, retirement assets, and family foundations. They also combine a variety of stock options to help you invest wisely and grow your wealth. Castle Valuation Group™: Preparing business valuations for closely-held companies is the main goal of this entity. They handle both public and private companies through a thoughtful and organized approach. As a fee-only Indianapolis financial planner, Castle Wealth Advisors provides comprehensive wealth management and financial planning services as a family office organization, often spanning three to four generations. With the combined resources of three companies, Castle Wealth Advisors provides business owners and family offices a comprehensive and holistic approach to their financial challenges, earning the firm recognition as one of the best financial advisors in Indianapolis. Column Capital is a fee-only financial advisor in Indianapolis that provides clients with additional benefits as a licensed accounting firm. Since a large and very important part of wealth management is tax planning, this expertise makes Column Capital an attractive choice for clients looking for an Indianapolis wealth management firm. An understanding of your goals, your current cashflow, your retirement plans, and your tax situation are all important components in financial planning— but they are often complicated matters, making finding the right financial advisor in Indianapolis vital. Column Capital’s approach to wealth management integrates three key processes: investment management, financial planning, and income tax planning. 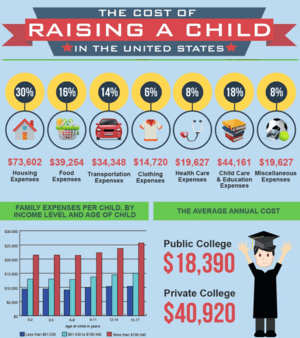 That last process—tax planning—is extremely important. In their excitement to realize capital gains, individuals often forget that tax obligations could drastically cut their earnings or the money they put aside for their heirs claimed by the IRS. The Indianapolis financial planners at Column Capital provide a comprehensive approach by understanding your financial goals and then working hard to align their services appropriately. You want a financial planner in Indianapolis who will preserve and protect our wealth, not someone who uses your capital as a gambling chip. Rather than aggressively trying to beat the market, the Indianapolis financial advisors at Column Capital focus on developing and implementing strategies that can predictably work towards meeting a client’s goals. As an independent, fee-only financial advisor in Indianapolis, Column Capital provides clients with the peace of mind that their financial matters are handled with the utmost transparency and care. With a wide range of financial planning and investment management services and a unique focus on handling tax concerns, Column Capital is one of the best financial advisors in Indianapolis to consider partnering with this year. Established in 1985, Deerfield Financial Advisors, Inc. offers customized financial planning services for well-established individuals, families, business owners, and entrepreneurs. As an independent, fee-only Indianapolis wealth management firm, the Deerfield Financial Advisors has the freedom to focus solely on clients’ needs. As a fee-only Indianapolis financial advisor, Deerfield Financial Advisors does not accept outside commissions or any compensation. Instead, all compensation comes directly from clients, ensuring that the firm maintains objectivity and avoids the inherent conflicts of interest of a commission-based structure. Additionally, as a fiduciary, clients can rest assured that their financial health will always come first and foremost. In the financial industry, the fiduciary standard is the hallmark of trust and transparency, two key elements in any successful financial planning relationship, establishing Deerfield Financial Advisors as one of the top Indianapolis wealth management firms. At the center of what Deerfield does is a commitment to helping clients maintain stability, even in the most volatile financial circumstances. As a fee-only Indianapolis financial planner with a fiduciary commitment, Deerfield Financial Advisors provides clients with invaluable peace of mind that their finances will be truly taken care of. Uniquely, the firm places a strong emphasis on how financial services can guide clients through uncertain life events, lending a personalized approach to financial health. Unfortunately, without a detailed description of how their services correlate to these life events, potential clients may find it difficult to associate exactly how Deerfield Financial Advisors can guide them through major events like a divorce or disability. By adding specific details on how the firm tailors their services to meet the needs of unexpected life events, Deerfield Financial Advisors could easily improve both their value proposition to clients and their rating as one of the best financial advisors in Indianapolis. 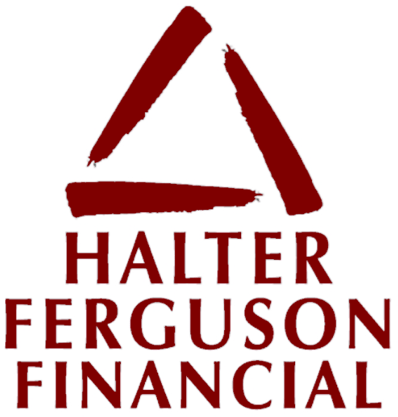 Since 1986, Halter Ferguson Financial, Inc. has been serving clients with sound financial planning and investment management services. As an independent, fee-only Registered Investment Advisor (RIA), this top Indianapolis financial advisor is committed to listening to your personal goals and your financial needs without bias or outside interference. Books, well-meaning colleagues, family, and the internet all have financial advice to give—but oftentimes, a lot of the information you’re digesting is noise. Halter Ferguson Financial recognizes this and helps its clients understand the essential information that allows them to get where they want to go. Your financial plan is custom-tailored, and based on both quantitative and qualitative information, to establish a strong foundation for the future. While the team at Halter Ferguson may be smaller than that of competing financial advisors in Indianapolis, many clients find that a smaller team provides significant benefits, like personalized service and one-on-one attention from their advisor. Additionally, Halter Ferguson takes a strong stance on helping clients change their behaviors and attitudes, creating long-lasting change on the journey to good financial health. With a full suite of financial planning services and a commitment to helping clients make smarter financial decisions, Halter Ferguson is one of the best financial planners in Indianapolis to consider partnering with this year. Market Street Wealth Management Advisors, LLC is a fee-only financial advisor in Indianapolis that serves individuals, businesses, private foundations, pensions, and profit sharing plans. The firm provides comprehensive financial planning, customized investment portfolio strategies, and retirement plan consulting services. Each Indianapolis financial advisory firm has its own unique set of values and practices that they believe help them make the best decisions for their clients. Above all, Market Street believes that managing your wealth should be simple and straightforward, an approach that can be seen in all aspects of their financial services. The responsibility for a company retirement plan is a big undertaking. Luckily, Market Street Wealth can offer expert advice and stand with you as co-fiduciary for your plan, optimizing plan design objectives. Through the use of independent Third-Party Administrators (TPAs), they put an emphasis on representation from a variety of asset classes and fund families. Performance is continually monitored, recommendations are made as needed, and employee education is offered to ensure long-term success. As an RIA and a fee-only Indianapolis financial planner, Market Street Wealth stands by you as your trusted, independent fiduciary at all times. Not only does this support transparency within the client-advisor relationship, but it also creates a trustworthy environment, two key elements of any successful financial plan. Uniquely, Market Street also puts a strong emphasis on making financial management simple and straightforward, increasing accessibility for all clients and solidifying their ranking as a best financial advisor in Indianapolis. Ronald Blue Trust is a fee-only Indianapolis wealth management firm offering financial planning, investment management, and estate planning services to clients across the wealth spectrum. For over 35 years, Ronald Blue Trust has taken a unique approach by integrating biblical wisdom, guiding clients towards financial security while also helping them to free up their money for charitable giving. 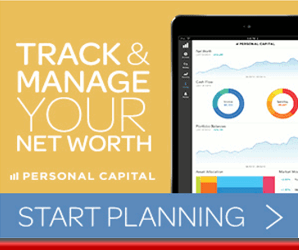 Private Wealth: As the largest division, this group offers comprehensive planning services to clients with an investable net-worth starting around $1 million. The Family Office: Focusing on the complex needs of multiple generations, this division encompasses your family’s mission and governs sophisticated trust and estate plans. Professional Athlete: Helps athletes build and retain wealth in a short career span through cash flow management, estate planning, investment management, tax planning, risk management, and more. Everyday Steward: Focuses on clients who are just beginning their financial journey, with services including everything from cash flow management to retirement. Clients in this category generally have a net worth of $100,000 to $1 million. For Ronald Blue Trust, the primary objective in your plan is not just meeting financial goals, but increasing the probability that your goals will be reached. Environment: The principle of Uncertainty and Instability shows that economic environments are numerous and it’s important to manage risk and reinforce the value of saving. Growth: The principle of Human Productivity, Leadership, and Governance allows insight into how and where growth will most likely appear. Valuation: The principle of Inherent Value allows Ronald Blue to analyze various asset types to build a disciplined portfolio. For clients that want their Indianapolis financial planner to share their principles—and put them in practice through expert financial management—Ronald Blue Trust is a great fit. Their separation of client divisions enhances both the firm’s reach and value, serving a wider range of clients underneath the expertise of a dedicated, focused team. With a unique, faith-based approach and the ability to serve clients of all asset sizes, Ronald Blue Trust is one of the top financial planners in Indianapolis to consider partnering with this year. Founded in 2001, Sheaff Brock provides portfolio management, financial planning, and consulting services to clients in and around the Indianapolis area. While Sheaff Brock has a strong history of positive recognition from industry publications like Financial Times, Investment News, and Financial Advisor, investors may be better off choosing another Indianapolis financial advisor—at least for the time being. See below for an in-depth overview of why Sheaff Brock earned a 1-star rating, and what the company can do to improve their ranking. Under the Advisor Direct Program, TD Ameritrade received incentives to refer clients to Sheaff Brock. The firm then directed clients to investing strategies that were “aggressive, high risk, regularly unsuccessful and generated significant losses,” despite being described as low-risk options. When it comes to managing finances, instilling trust and transparency is crucial—and unfortunately, this class action lawsuit provides little reassurance that clients can confidently hand over their assets to Sheaff Brock (or TD Ameritrade, for that matter). While this lawsuit is still within the early stages, two law firms (Diamond Kaplan & Rothstein, P.A. and Silver Law Group) are offering consultations and representation for losses suffered from Sheaff Brock and TD Ameritrade. Although high rankings and reviews from leading industry publications speak to a strong history of value and expertise of Sheaff Brock, potential clients that are considering partnering with the firm may want to choose another Indianapolis financial advisor, at least for the time being. Valeo Financial Advisors, LLC boasts 31 Certified Financial Planners, a limit of 40 clients per advisor, and no products sold. All these factors come together to create a fee-only Indianapolis financial advisory firm that offers client-focused, independent advice. As a fee-only Indianapolis financial planner, Valeo is upfront about how much their services will cost. With one transparency fee based on their net worth, As clients do not have to worry about hidden charges, as this fee covers financial planning and investment management. As a top financial advisor in Indianapolis, Valeo Financal Advisors provides clients with unbiased, fee-only financial guidance, providing the utmost in transparency and trust. 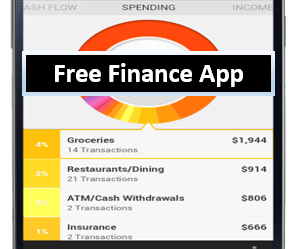 Uniquely, this commitment to transparency extends to their fee schedule, making it easy for potential clients to evaluate the affordability of adding professional financial guidance. With a strong commitment to transparency and integrated financial planning and wealth management services, Valeo Financial Advisors is one of the best Indianapolis wealth management firms to consider partnering with this year. With this overview of the top financial advisors in Indianapolis, you can begin thinking about which features are most important to you—it could be a focus on retirement planning, a fee-only structure, or faith-based wealth management. As you make your decision, think about what you want to gain out of a relationship with your financial advisor. Making a list of what you want will allow you to match those wants and needs up with the services of one of the top financial advisors in Indianapolis. Once you’ve chosen a few possibilities, check to see if they offer a free consultation. Whether by phone or in person, this is a great way to start a working relationship and start getting professional answers from a financial advisor in Indianapolis.